A tanning background about myself: I am a total tanning rookie. I am rubbish and I’ve had my fair share of tanning disasters – tan too dark/too streaky/too green. My favourite type of products are definitely gradual tanners that last for a few days as I’m able to slowly build up the colour to my desired shade and also you don’t have to wash them off like more intense tanning products. 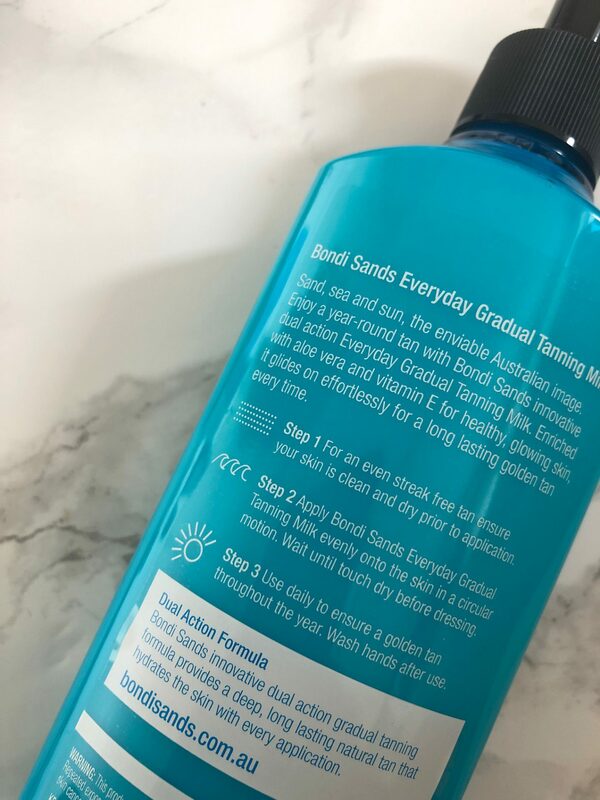 This Bondi Sands Gradual Tanning Milk ticks all of those boxes; its moisturiser consistency makes it sink into the skin quickly, it’s a light colour with one application but can be built up and it’s very easy to use. I have included before and afters below. 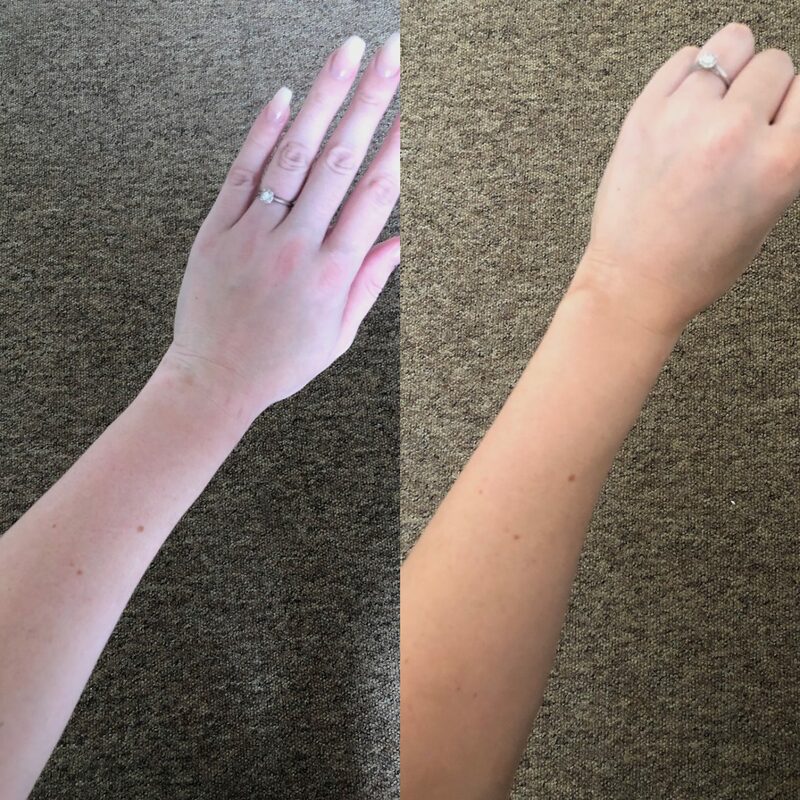 This is with two layers of the product on my skin and my favourite thing about this particular Bondi Sands product is that it helps to transform my pink undertone to a more golden/yellow one which helps the end result look genuinely natural and not too over the top – something I often struggle with by having such pale skin to start off with. The application was very quick and easy, I’d apply an even layer after I exfoliated in the shower using the Bondi Sands velvet tanning mitt. I’d use two pumps per body part and use circular motions to buff it into the skin. After 15/20 minutes (usually the time it then takes me to put on some basic makeup and dry my hair) it is soaked into the skin and you can get dressed. I then repeated this step the day after for a more intense, faux summer glow. 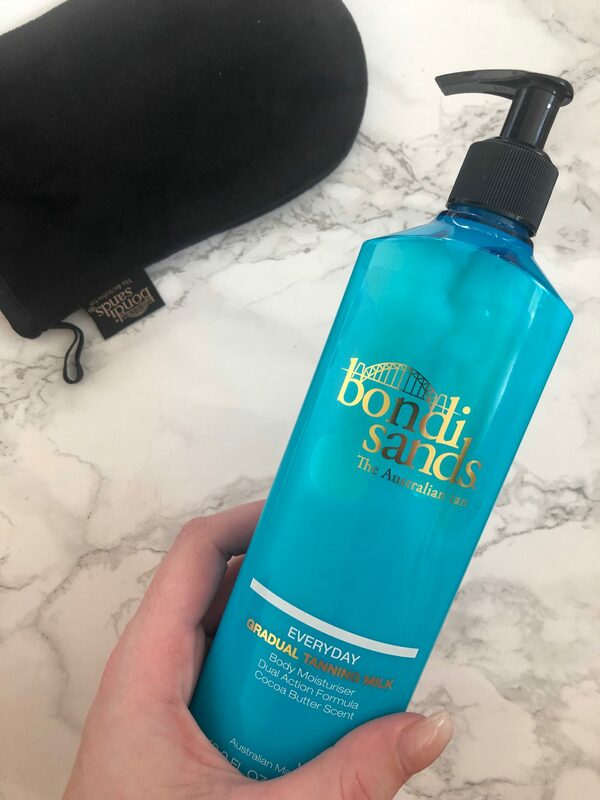 I think I’ve found ‘the one’ when it comes to tanning and this easy-to-use Bondi Sands Everyday Tanning Milk is the perfect formula and colour for me. 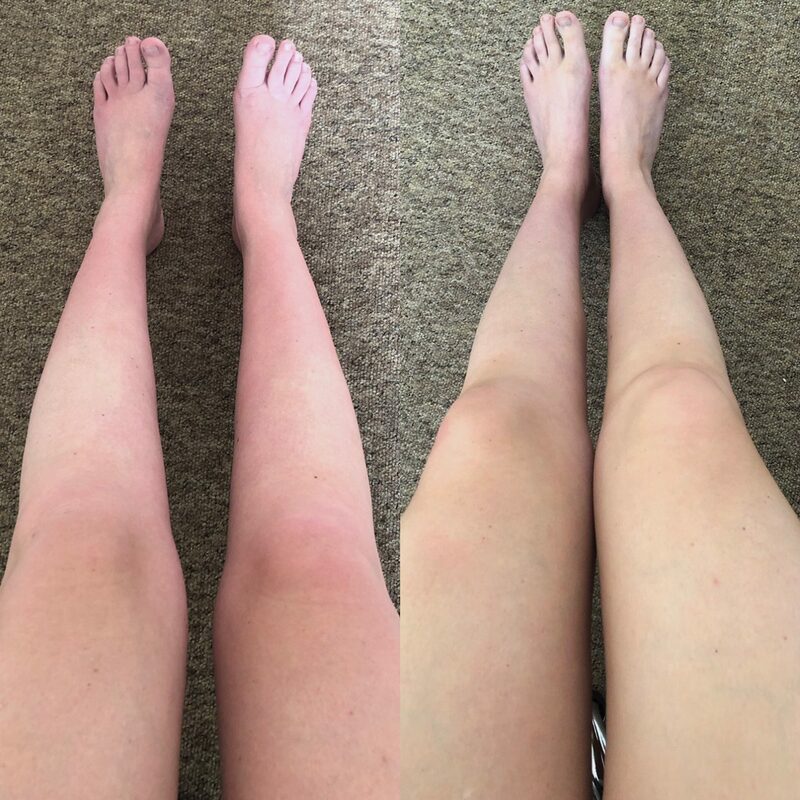 I can’t wait to use this more in the summer to enhance my natural tan – there’s something really magical that happens to your confidence when you have a healthy, brown glow. I’m also super excited to say that I featured in their blog post – Beauty Bloggers to watch in 2019! I am definitely stocking up on more of these for the months ahead. Which tanning product is your favourite? This product was gifted in exchange for an honest review. All opinions are my own, please see my disclaimer for more information.